Whiplash Injury is most commonly associated with an automobile crash where the vehicle is hit from behind causing the neck of the occupant to be suddenly jerked back and forth beyond it’s normal limits. The muscles and ligaments supporting the head and spine can be stretched or torn. The soft, pulpy disc between the spinal bones can bulge, tear or rupture. Vertebrae can be forced out of their normal positions causing pain and reducing ranges of motion. Whiplash can also occur with any auto collisions, a slip and fall, or sports accidents. 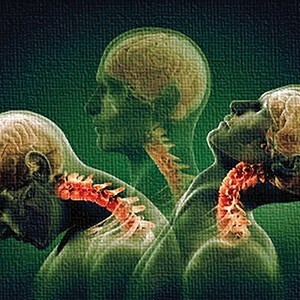 The most common symptom related to whiplash injury is neck pain or stiffness. Other symptoms include headache, pain radiating into one or both arms, vertigo, dizziness, chewing or swallowing problems, blurred vision, reduced coordination, reduced energy, depression, irritability, and sleep disorders. Most people with whiplash injuries have neck pain but they can also have low back pain and pain into the lower extremities. Pain can start immediately or can appear days to weeks or even months later. It is very important to be evaluated as soon as possible following a whiplash injury. Even low impact collisions with little damage to the vehicle can cause significant damage to the spine and the supporting muscles and ligaments. Without proper care and treatment, the damage can be permanent, leading to chronic pain and problems. At reNu Chiropractic we have over 24 years of successful experience treating whiplash injuries, helping hundreds of patients. For an auto injury patient, a referral from a medical doctor is not required. Our caring staff will help you with all the necessary paper work to establish your claim and answer any questions. Our approach is total corrective care. On your initial visit we will do a comprehensive examination, prescribe x-rays/MRI’s and other diagnostic tests if needed, and provide immediate treatment to relieve your pain. After diagnostic studies are reviewed, we will provide safe and gentle chiropractic treatment and therapies, such as muscle stimulation, cold laser therapy, therapeutic massage, trigger point therapy, stretching and strengthening exercises. Treatment and therapies are performed to aid in proper spinal alignment and to heal the injured soft tissues for a complete recovery. Dr. Joy E. Roberts is a chiropractor with reNu Chiropractic in Newark, DE. She graduated from Palmer College of Chiropractic in 1994. Dr. Roberts is married and has three children. She has over 24 years of experience working with patients of all ages utilizing gentle and effective techniques. She has post graduate work in a variety of topics and conditions including: whiplash, sports injuries, cold laser therapy, functional assessment, rehabilitation, extremity adjustments, impulse adjusting, and Foot Leveler’s orthotics. Doris Chan Leach is a chemical engineer by training. She had successful careers in the medical and chemical industries, Becton, Dickinson & Co., and DuPont Company for over 15 years. She changed her career to follow her passion for natural healing. She had provided vision, leadership, operation and marketing for Park Place Chiropractic for 8 years. 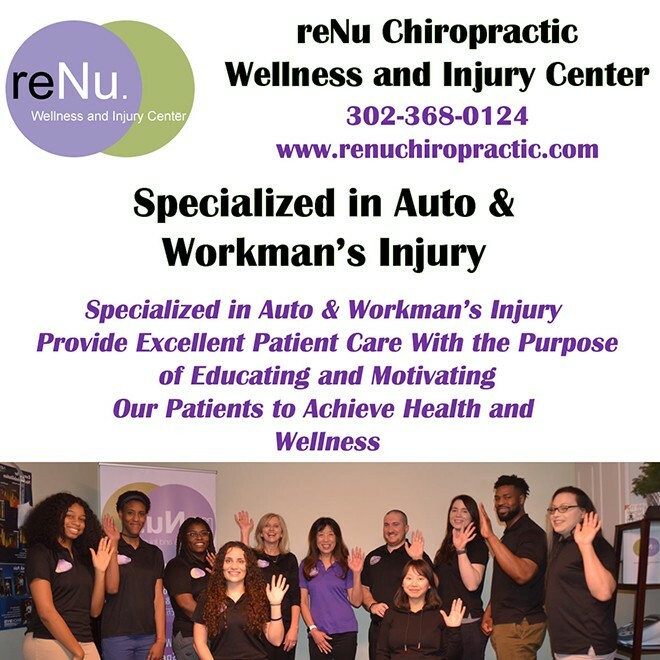 Doris started reNu Chiropractic Wellness & Injury in 2013 and is currently expanding their services to provide total health and wellness to Delaware communities.